**Stop reading if you are my oldest sister! As Christmas day approaches, I found myself wanting to do something special for a deserving family. And right now, I can’t seem to stop thinking about my sister’s family. My sister, her husband, and all the kids really, are such amazing examples to me of patience, love, and hard work. They have had such a rough several years, ever since my sister gave birth to her youngest baby at 23 weeks. Her little girl hovered between life and death for about five months in the Neonatal Intensive Care, hooked up to all kinds of tubes and apparatuses. She also had several terrifyingly risky surgeries. But she pulled through time and time again. During this time, my sister and my brother-in-law spent as much time as they could spare at the hospital with her. Meanwhile, the older brothers and sisters picked up the slack with babysitting and extra chores. My sister pumped for 18 months since the nutrients in breastmilk were so essential for my niece’s survival. Finally the day came when they could take Camille home. They brought her home but the work had just begun. They had to deal with a feeding tube and oxygen machine around the clock as well as trying to make sure she didn’t catch anything the kids brought home from school. It was hard, hard work but they never, ever complained. Camille has not been fortunate enough to be problem-free since coming home from the hospital. She is now five years old and last year, she had a kidney transplant. And my sister donated her own kidney to a random person in need so that Camille would be able to get the transplant she needed. She may have to have more major surgeries in her life and is developmentally delayed in certain areas. But she is the sweetest, funniest little girl and we are all super happy to have her in our lives. All of their sacrifice made me realize how I wanted to give them a gift that would be really meaningful to them. But it’s difficult to give one single meaningful gift to a family of nine kids and two parents. It’s just hard to give to a big family! 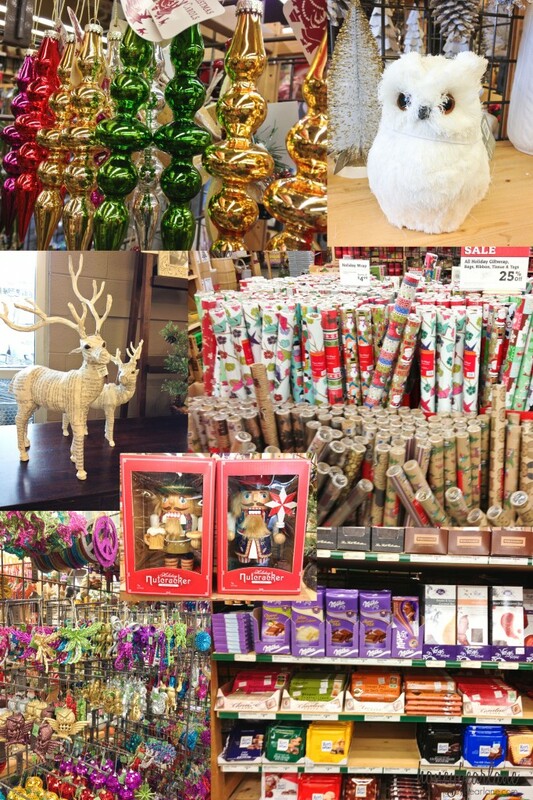 I decided to go shopping at World Market, one of my favorite stores, for inspiration. I was originally thinking of something like a dinner or dessert-making kit (which World Market would have most of the supplies for.) But as I was perusing through the aisles, something hit me square in the face. I was at WORLD Market. Meaning that they, of all stores, would have crackers and cookies from all over the world! And why would this matter? Because my sister and her family lived in Germany together for a year. And then her son and his wife (yes, it’s still weird to me that my nephew is married!) served church missions in Germany. They have some deep connections with Germany and I’m sure they miss those days they lived there. Suddenly it came to me all at once: Germany themed gift! That’s the key to giving to a large family: themes. You have to find something that they ALL have in common, which can take some thinking. However there has to be something, whether it’s a beloved vacation site or a sporting team they all love. Build on the memories they created as a family. My brother’s family once gave everyone BYU clothes and paraphernalia. And if you can’t find one common theme, you might be able to break it up into a couple of themes. My sweet SIL Alice gave us everything Dental–things that could tie us to dear daddy who is a dentist. But then she also gave the boys a Reading theme–a little cushion pouf for reading and lots of books. So I asked a helpful employee at World Market (he was VERY helpful actually) and he directed me to every German cookie and candy. And I bought it all up! Well not all, but enough that everyone in the family could have something to open. 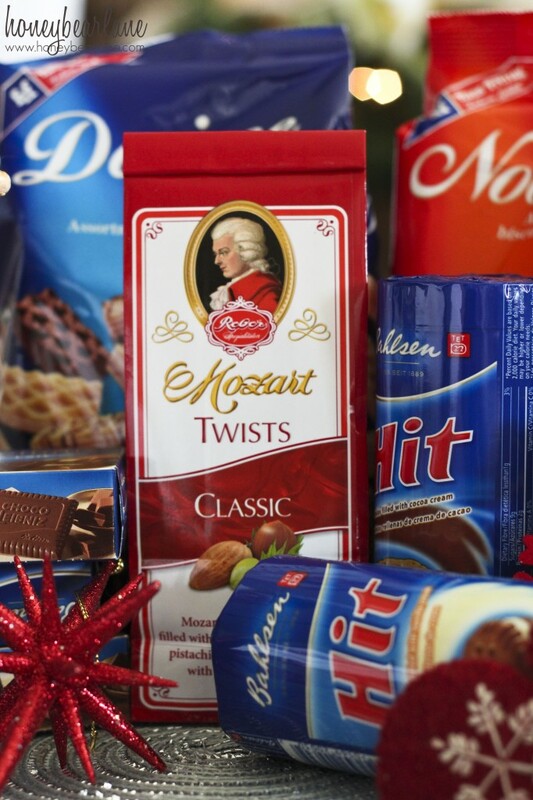 After all, isn’t German chocolate world famous? 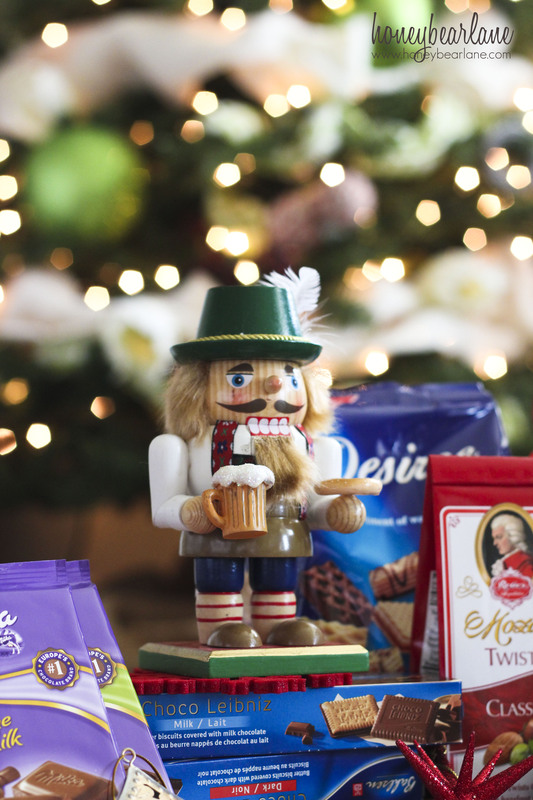 Then I shopped around the store and found a few other items that would fit in perfectly: this beautiful wood German nutcracker, a little Santa ornament that looked like St. Nicholas, and some other fun things. Then I purchased some pretty ornaments and wrapping paper that would be perfect for wrapping. 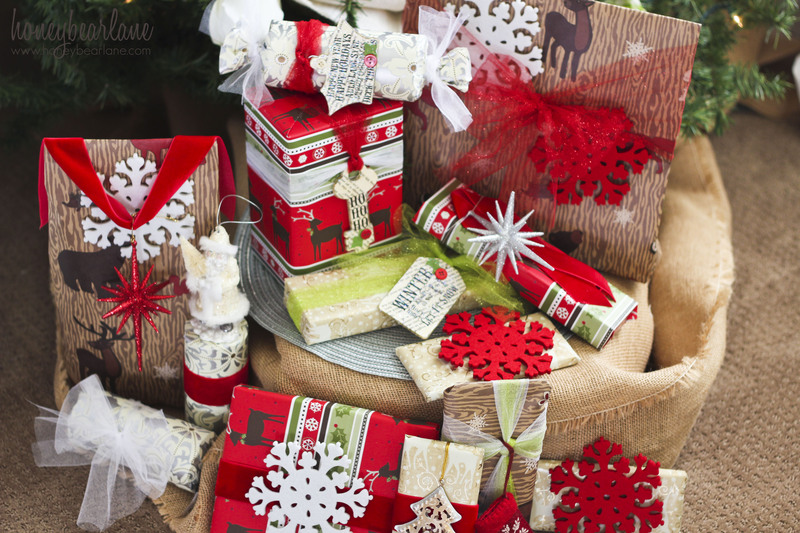 To take the theme even further, carry on your cohesive-ness with wrapping. 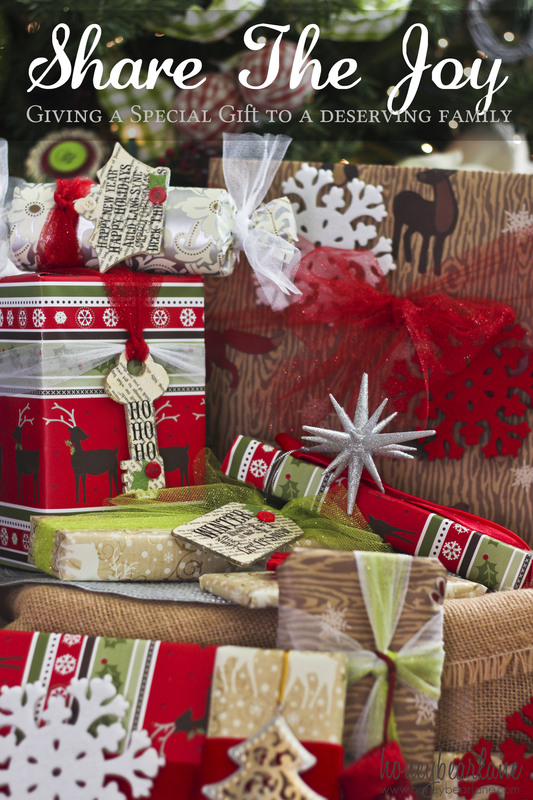 Choose wrapping paper in similarly-themed design or with the same colors carried throughout. I chose four wrapping papers from World Market and they already matched everything that I was already getting there. Then I chose some beautiful ornaments that looked European and took it all home. 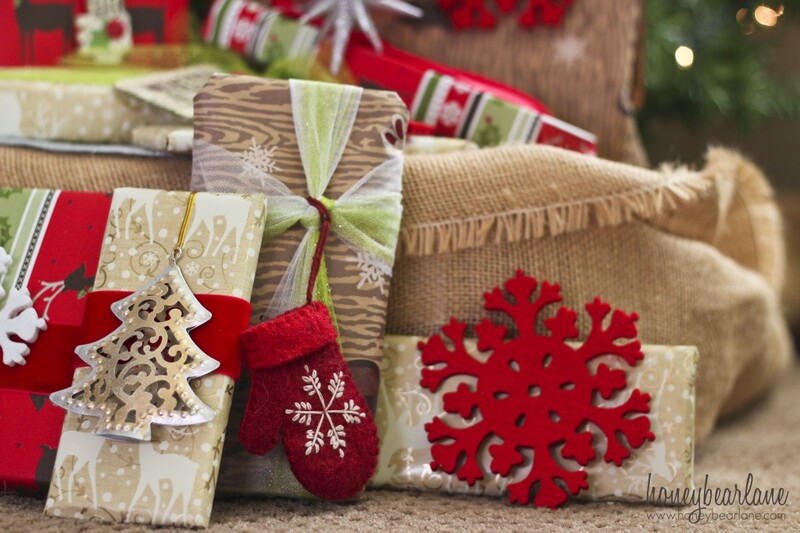 I wrapped each present very carefully, to make opening a fun experience for each person in the family. I carefully attached the ornaments to the outside, making sure they were firmly attached so they wouldn’t fall off in the bustle of Christmas morning. 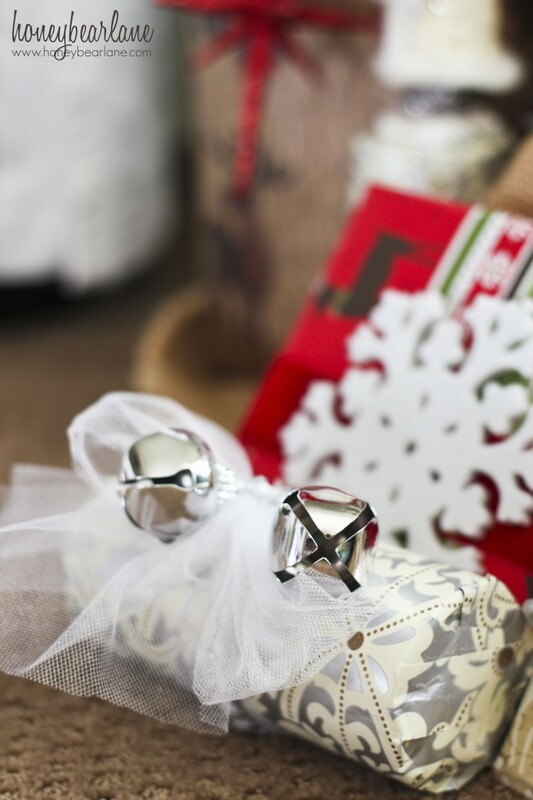 You can do this just by using good tape and ribbon or twine. The beautiful thing about the gift of cookies and candy is that it’s affordable to buy enough so that every member of the family has something to open. I think we can all agree that one of the best parts of Christmas morning is the present opening, and this makes it prolonged a little bit. I wrapped enough cookies and candy so that everyone would have at least one thing to open, and addressed the more special items (such as the nutcracker) to the entire family. I also gave the cookies to the little kids and the fancier chocolates to the older kids and parents. Taking special thought as to what to give each person makes it more personal. My sister has one child who won’t be with them on Christmas, since he is serving a church mission in Latvia. For this nephew of mine, my family is going to write him a special letter rather than send a gift. This will be more meaningful to him anyway. We will all write our own personal thoughts and I will transcribe the thoughts of my children (which always makes for an entertaining letter.) Just because a family member won’t be there doesn’t mean he or she doesn’t deserve to be included in the family gift. I can’t wait to give my gifts to my sister’s family and see their reaction as they remember the memories they shared with each other in Germany. They really deserve to get a special gift after all the struggles they’ve gone through in the last few years. So are you giving to a large family this year? What are some of your ideas? What is your favorite way to Share the Joy with others during the holiday season? 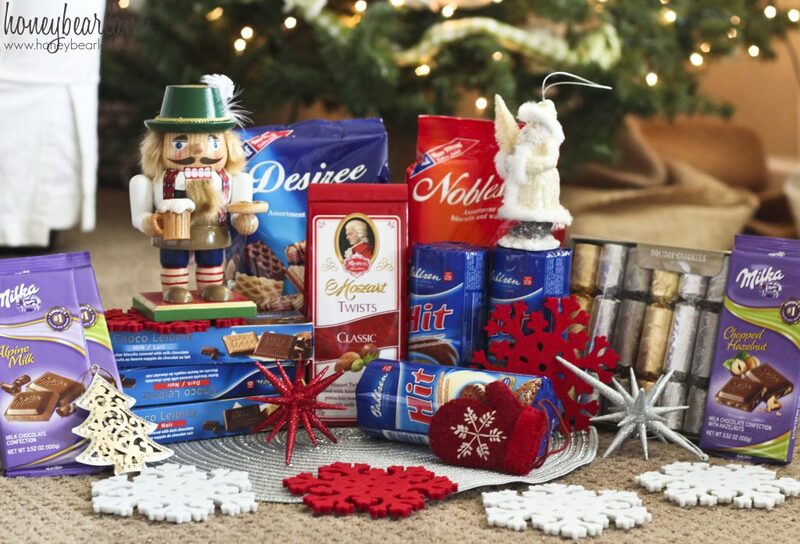 Right now you can enter to win the World Market’s Share the Joy Sweepstakes! Twitter, Facebook, Google+, Pinterest, and Instagram! Your gifts look so beautiful, and I love the idea. World Market is the best for candy. We used to do the same thing when buying presents in our family of 7 kids! But it got a little weird when the young single brother had to buy for the family of 6, and then the couple with no kids (and lots of $) only had to buy for the single brother. 🙂 So now we draw names among all the adults, and all the kids, in two separate groups. It’s so fun and everyone gets a special present, just for them! You did a good job of making it work your way. 🙂 Love your blog! I love World Market. It’s my FAVORITE store! I love the German-themed gift idea! My family spent a lot of time in France, and this would be a great theme for their gifts this year (I am thinking cheese fondue). Thanks for the fabulous idea! Such a great idea for a large family! I love that you put so much thought into the Germany theme and what would be best for each age. The wrapping paper & ornaments are gorgeous! World Market rocks doesn’t it? This is a wonderful idea. I’m sure they are going to love this gift because it is so thoughtful. Thank you for all the good ideas you share. I grew up in Germany and now i so wish there was a world market by me. Thanks for the trip down memory lane.